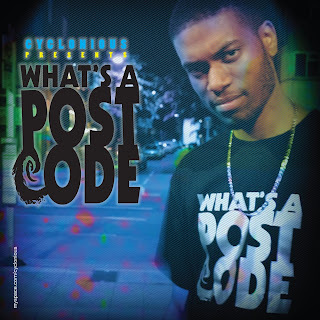 4.1.10 cyclonious, the revival, uk all day, uk hip hop, uk hip hop blog, what's a postcode? It's always refreshing to come across a new name and be genuinely impressed. Not only has Cyclonious got a great single with What's A Postcode?, the video is well produced, dude's got his own website set up and it looks like he's flogging exclusive tees at his MySpace. With LP The Revival in the works, you can buy this single at iTunes from 27th February. Cyclonious is up on MySpace and his own space.